STORE can provide funds for property renovations, this investment can unleash additional shareholder wealth for you, which would otherwise be funded with your own scarce and costly equity. We call this capturing opportunity value. 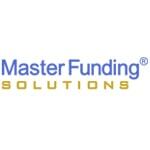 This is one of the many Master Funding solutions we have the ability to provide. Discover more details on remodel capital with Sharon Hatchell, vice president of portfolio and finance closing.